since we are in 2019...we start to get used to the idea. They’re a rich source of protein and use a fraction of the resources of beef or poultry. 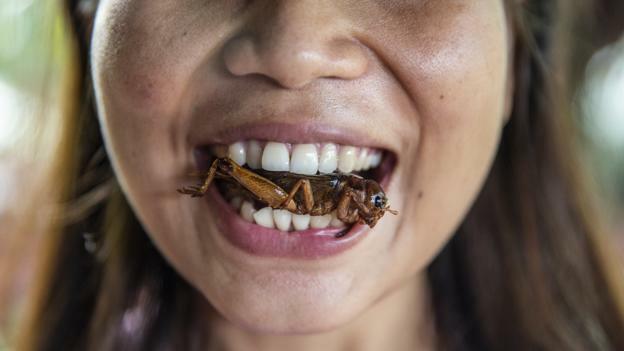 If people can get over the ‘ew’ factor, edible insects are poised to become a massive industry. @Giacomino Once i was at anarcho-primitive camp where an insectarianism workshop was held. Insects are very nutritious and some of them can be eaten without heat treatment. But it depends on the region. For example, the northern ants - it is possible to raw eat, but those in the south - often carry microorganisms that are dangerous for most of animals (but not for birds). @Giacomino the insect kingdom is a massive untapped food supply as well as a source of clinical nutrition. The thought still grosses me out personally, but I understand the potential.